Have you ever just wanted to try a new restaurant for a change of pace - to get something different and see what else is out there? My website attempts to bring you honest reviews of various establishments to make your search for new pizzerias a little easier, but have you noticed that finding information for small businesses online is sometimes worse than pulling teeth? How many times have you searched for a certain place online because someone recommended it to you and you can't even find out where they are located let alone a menu to see what the place offers? What are business owners hiding from us? Well, they probably aren't hiding anything, they just haven't realized the importance of having a complete online profile or had the time to get it organized. Customers demand information in a split second, and if they don't get it they will skip over your restaurant and go to the next place. 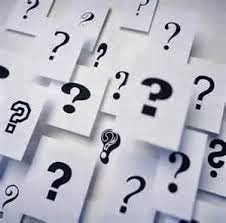 So why not obtain new customers the easy way and tell us these few simple things about your restaurant?! Let's face it, people do not flip through the yellow pages of their phone books to find your restaurant anymore. They have a much easier thing called the internet where all they have to do is start typing your name and...oh it doesn't pop up?! Well if you don't have your information properly entered online, then chances are someone who is browsing for a new pizzeria to try will skip directly over you because you don't exist to them. No worries, I have you covered - check out this article on the 8 Places you Need to Register Online. It's all free, and it's a very straightforward process. This will ensure that next time a potential customer is searching for your business, the proper information pops up and they can click your address on their smartphone and use GPS to get right to you! Things you should include in your profile include: Physical Address, Phone Number, Email Address, Website, Etc. Just as it is inexcusable to not have a stack of printed menus available for customers to take home upon request, it might be an even bigger mistake to not have your menu posted online on your website, facebook page, google, or any other website that will host it for you. As someone who visits hundreds of different restaurants per year, I'm frequently astonished of the low percentage of small businesses have their menus posted online. Websites will publish it online for you for free and so will I. 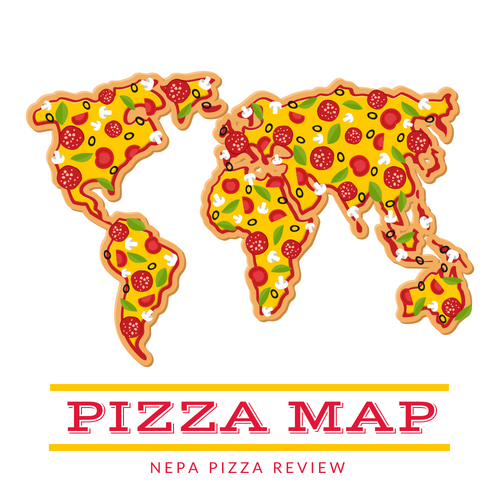 If you want your menu listed on my MENU page, just email it to me at nepapizzareview@gmail.com. So what services does your restaurant offer? Delivery, Takeout, Dine-In, Catering? If you don't tell a perspective customer that you offer something, they will never know that you have it. To see how lacking places are in this department, head on over to google and type "Pizza Delivery Scranton" and see how useful the results are. They aren't useful at all because businesses in that city generally do not have their services listed and indexed in search engines. At a bare minimum, list the services on your menu, which should be posted online. This will let people know what they can or cannot buy from you, and if they don't know that you are selling something, how can they buy it? So what type of atmosphere does your restaurant have? Do you have a full bar? Is it a formal establishment where a person can take a date? Is it casual so people don't have to worry about dressing up? Does the dining room or bar have TVs to watch the big game? Do you serve a quick lunch or is your establishment more geared toward a sit-down dinner? There are so many things that people consider when going out. Be proud of the restaurant you have built and show it by displaying pictures of the inside of your restaurant and even describing it in brief captions. People love to see pictures, and if they see something that is compatible with their interests, they are more likely to try your place next. I have to admit, nothing infuriates me more than ordering a pizza for pickup then arriving to pay for it, and there's a tiny sign at the register that says "Cash Only." I don't mean to speak for the rest of the world, but I pay with my debit card 98% of the time. I've worked in cash restaurants before and I've seen people literally leave substaintial orders at the counter simply because they didn't have cash to pay. Not only did the restaurant owners lose big sales, they also incurred a huge food cost so it was a lose-lose situation. Regardless of your feeling on offering various forms of payment, your menu, website, and online profile should clearly spell out what form of payments that you do accept, especially if you are on a "cash only" basis. These concepts may seem simple and common sense, and they are but if you don't think that not providing this information to the public online isn't a problem, just head on over to your favorite search engine and try to find a new place to eat (that you have never been to). It's not as easy as you think. As customers, we rely on whatever information is available. If there's none, then your business doesn't exist to us. As business owners, wouldn't you want to broaden your audience to bring new customers to your store? Starting to build a proper online presence with a few simple pieces of information will put you well on your way to doing so. Word of mouth is still important in gaining new customers, but I would contend that the internet is a far more efficient means to get your word out there. Please share your comments below, or feel free to email me with any questions or follow up!